All photos courtesy of Orca Islands Cabin. Fathom teams up with Lincoln Motor Company in Hello Again, a series about interesting hotels in unusual places. 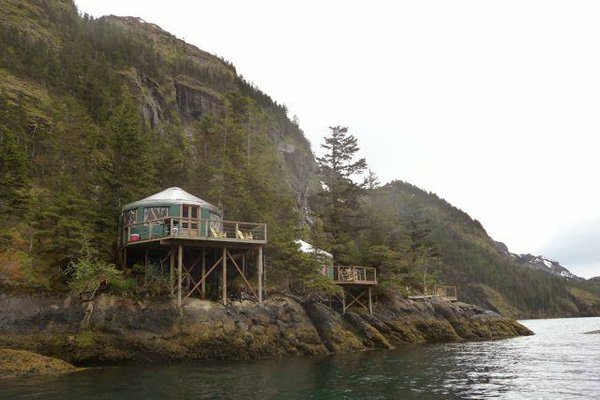 Like the yurts of Orca Island Cabins in southern Alaska. 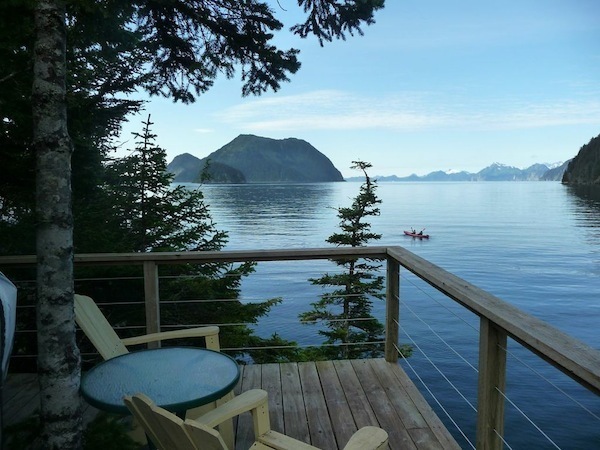 SEWARD, Alaska – Every summer for the last decade, guests propelled by a love of nature and a sense of adventure have found themselves standing on the dock in Seward, Alaska (population 3,000), bound for Orca Island Cabins. A back-to-the-lander's dream, the property consists of five freestanding yurts along the craggy coast of Humpy Cove. For centuries, yurts have been the lodgings of choice for the wandering tribes of the Central Asian Steepe. The round structure diverts wind, even of extreme force, while sustainable materials such as wood and canvas withstand sun and rain. The four-piece construction (a crown, roof ribs, lattice wall, and covering) treads lightly on the land. 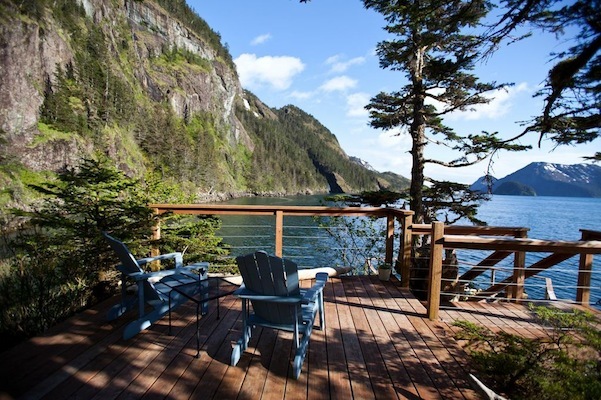 These very qualities inspired owners and long-time Alaska residents Dennis and Susan Swiderski to adapt the dwellings to the rocky terrain and extreme conditions of remote southern Alaska. It turns out that with a few updates, like solar power and running water, yurts suit the needs of modern nomads, too. The journey begins when the water taxi arrives and guests chuck their luggage and groceries into the boat and cross the nine-mile gap of Resurrection Bay. The Swiderskis are waiting on the moss-covered island to help with the transition back to basics. Each of the five freestanding yurts is 20 feet in diameter, clears 13 feet inside, and is outfitted with a queen-size bed and convertible futon couch, a hot shower, a skylight, and a deck overlooking the water. Which yurt is best depends on what's expected from a view. A quick 101 on yurt life includes how to use the heater, open the windows, and properly operate the composting toilet (peet moss works so well as nature's air freshener that the toilet is kept en suite). Coolers are provided, but guests are responsible for bringing their own food and ice. 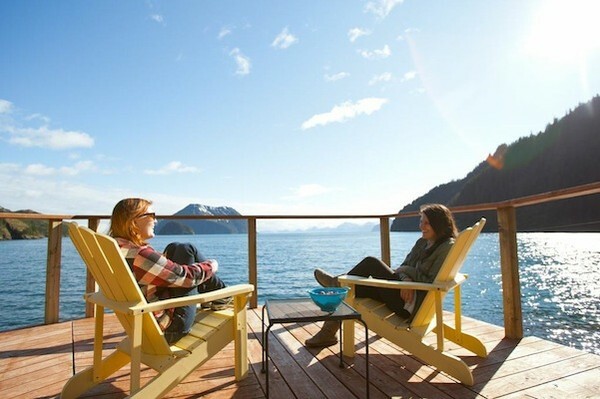 Once the Swiderskis feel everyone is acquainted with the workings of the propane stove and knows where to snag wood for the fire pits, they head home for the night, leaving guests alone with the eagles, porpoises, sea lions, otters, whales, and other wildlife that call the protected inlet home. While it's tempting to retreat to tranquility inside the cozy home, there are plenty of reasons to pass the time outdoors — especially considering the sun shines bright for 21 hours at the peak of summer. High season runs from May until mid-September and attracts fishing enthusiasts in search of halibut and a variety of salmon, including sockeye, king, and silver. Professionals may want to charter a day trip, but amateurs will be satisfied with the rigs that are up for grabs at the cabin. Oysters are plentiful and so are the kayaks. 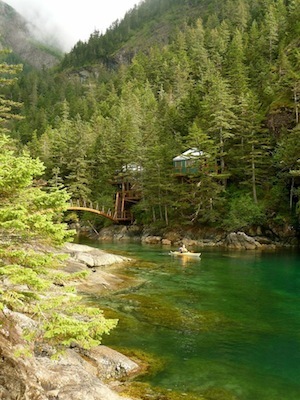 Paddle around before poking at the island's tide pools. The calm bay makes it easy to do both. With no scheduled meal times or pre-arranged activities, guests are free to do as they please and are encouraged to spend their stay as they see fit. And that's exactly the point.